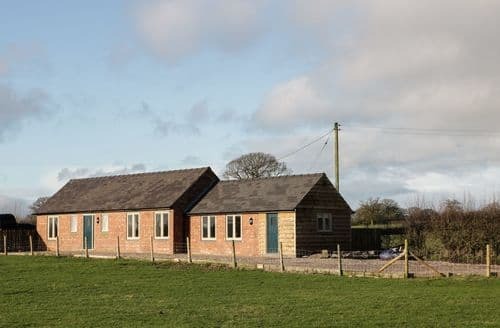 What our customers are saying about our Holiday Cottages In Myddle And Broughton To Rent. "PROs - lovely setting, beautifully decorated, and very clean and tidy. Living room was much larger than expected from the photos which was a bonus. Owner was very friendly and helpful when I needed to contact him. Good supply of essentials: washing up liquid, toilet paper, dishwasher tabs, kitchen roll, etc. A good selection of DVDs and local activity info pamphlets were provided. CONs - mostly well equipped, but there was no tumble drier, and crockery was a bit sparse (only 3 bowls for 4 people). Beds were very hard and we didn’t find them comfortable. WiFi access was very poor. We contacted the owner about this, and he was very helpful, but in the end, we learned that we just needed to reboot it several times a day, sometimes several times an hour. This was frustrating when trying to skype home to my husband when we would lose internet repeatedly during the same call or when trying to research, book, and pay for activities. There was no information provided in the barn regarding things like recycling and what to do with rubbish. Being a bungalow, we didn’t feel safe having the windows open at night, as there was no way to safely lock them just partially open, so in this current summer heat, we were uncomfortably warm at night." "Living room was much larger than expected from the photos which was a bonus. Owner was very friendly and helpful when I needed to contact him. Good supply of essentials: washing up liquid, toilet paper, dishwasher tabs, kitchen roll, etc. A good selection of DVDs and local activity info pamphlets were provided. CONs - mostly well equipped, but there was no tumble drier, and crockery was a bit sparse (only 3 bowls for 4 people). Beds were very hard and we didn’t find them comfortable. WiFi access was very poor. We contacted the owner about this, and he was very helpful, but in the end, we learned that we just needed to reboot it several times a day, sometimes several times an hour. This was frustrating when trying to skype home to my husband when we would lose internet repeatedly during the same call or when trying to research, book, and pay for activities. There was no information provided in the barn regarding things like recycling and what to do with rubbish. 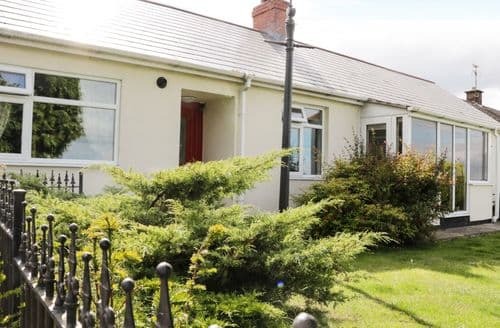 Being a bungalow, we didn’t feel safe having the windows open at night, as there was no way to safely lock them just partially open, so in this current summer heat, we were uncomfortably warm at night." 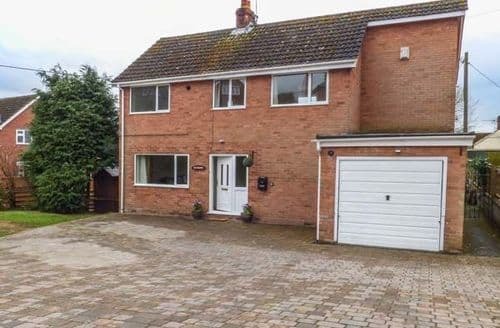 "We do think that a small washing machine would be a useful addition to the property: we did find the distance quoted to the nearest shop was greatly underestimated and would have been impossible for us to walk to and back each morning. Not knowing the area at all we did find the property somewhat isolated but that is a chance one takes of course. 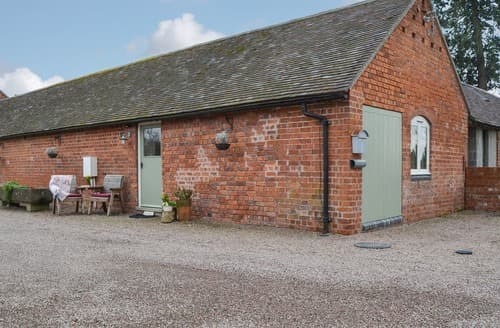 Overall it was a very comfy property and we did enjoy watching the sheep!" "PROs - lovely setting, beautifully decorated, and very clean and tidy. Living room was much larger than expected from the photos which was a bonus. Owner was very friendly and helpful when I needed to contact him. Good supply of essentials: washing up liquid, toilet paper, dishwasher tabs, kitchen roll, etc. A good selection of DVDs and local activity info pamphlets were provided. 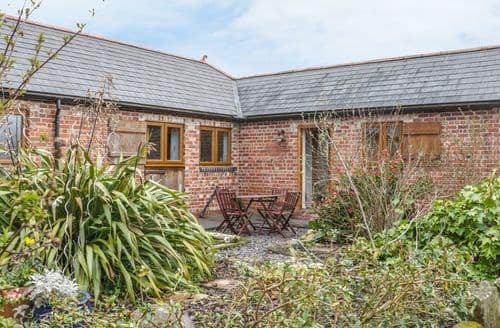 ..."
"We had a very enjoyable stay here - the location was great for exploring the local area and the cottage itself was very comfortable for the 5 of us. All the rooms were pleasant and well furnished. It was a delight to see the piano in the dining room - my daughter used it a lot. A home from home, to be honest."